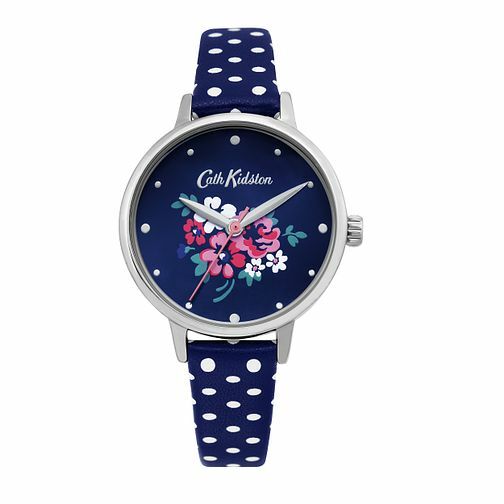 This fashionable Cath Kidston ladies' watch presents a silver tone case and accented blue floral patterned dial. Finished with a pretty polka-dot blue and white PU strap. Trendy timekeeping for everyday style.